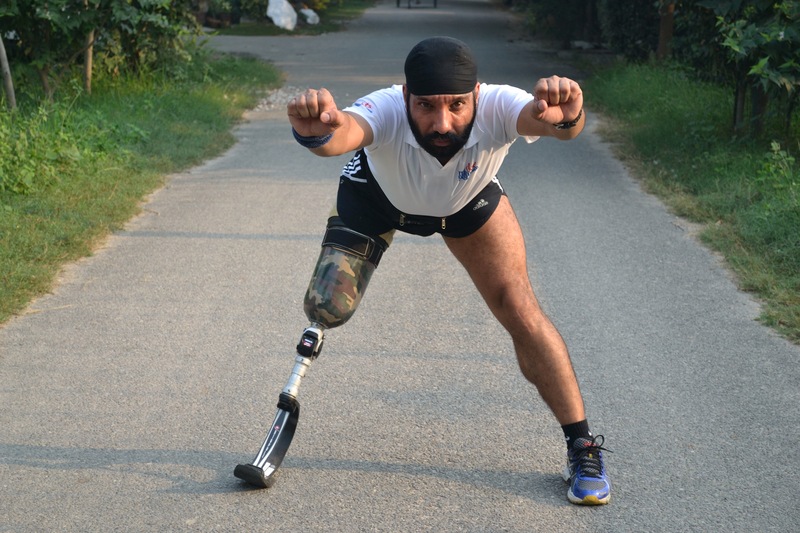 Refusing to be overcome by the challenges of losing a limb, Devender Pal Singh, 39, became a marathon runner. (CNN) — According to the United Nations, around one billion people live with disabilities globally — they are the world’s largest minority. Of this number, as many as 40-80 million live in India, though the underdeveloped infrastructure across much of this vast country makes it difficult for them to get around. But it’s not just the land that can be harsh and unwelcoming; prejudice and the karmic belief that disabled people are at fault for their incapacity can affect their ability to lead a normal life. 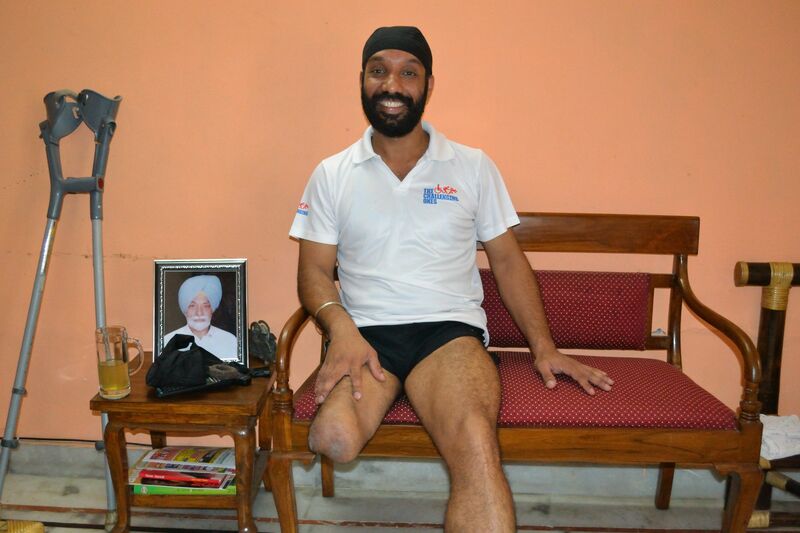 Devender Pal Singh, 39, lost his leg during the Kargil War between India and Pakistan in 1999 when a bomb exploded just meters away from him, piercing his body with shrapnel. Refusing to be overcome by the physical or mental challenges of losing a limb, he became a marathon runner, eventually being dubbed India’s blade runner owing to the blade-style prosthetic he uses. He says his mindset is born out of a desire for people to see him in the competent way that he sees himself. “What I’m trying to pass on is attitude,” he says. A former major in the Indian army, Singh formed a support group for people like him called the “Challenging Ones.” He says he prefers to feel like he has a challenge to overcome rather than a disability. By taking part in half marathons since 2009, he says the fellow amputees in his group, which has 450 members across India and over 1,900 likes on Facebook, have been encouraged to do the same. His acceptance of who he has become clearly shows. “This is the positive side of being an amputee,” he laughs, effortlessly using his crutch to press a distant button that operates the ceiling fan. But while he has learned to live with his disability, or challenge, India still has a long way to go before the needs of the disabled are sufficiently met, or even recognized. Take a short wander around virtually anywhere in the country’s capital and you are faced with stairs or steep, uneven pavements with stalls intruding on their spaces, running alongside unruly traffic. Awanish Awasthi, joint secretary for the Indian government’s department of disability affairs, says most new buildings are disabled-friendly and the government provides financial support to those states wanting to take up the arduous task of upgrading their existing infrastructure. But these physical obstacles do little to hold Singh back. Once he has dealt with a current injury to his thigh, he’s planning to run a half marathon every day for 21 days in 21 different cities of India in 2014. Inspired by British Paralympic gold medalist Paul Whitehead’s feat of completing 40 marathons in 40 days, his aim is to promote his campaign and motivate others. Classroom at the Anchal Charitable Trust in Delhi. However, it’s a different scenario for those who are physically or mentally disabled and burdened with poverty and excluded from mainstream society. The Anchal Charitable Trust in Delhi, supported by the NGO Handicap International, works with eight slums in the east of the city, providing disabled children and their families with rehabilitation, education, counseling and information about their rights. 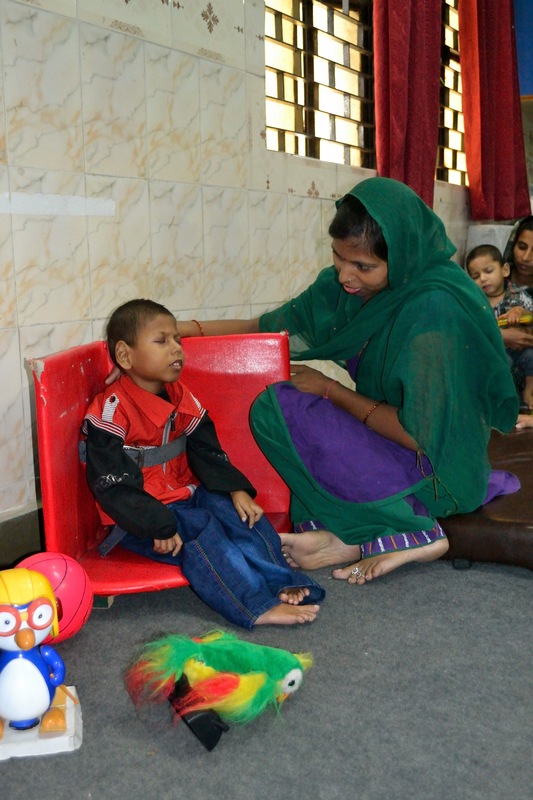 Manish Singh, 7, who suffers from cerebral palsy, sits supported by an aid. Manish Singh is a seven-year-old boy from one of the slums with cerebral palsy, who is usually not able to sit or stand. But in a rehabilitation room of the trust’s center, he sits on the floor supported by an aid. His mother says special exercises provided by professional occupational therapists employed by Anchal have slowly improved his condition. But those with intellectual or learning disabilities face the added struggle of even being identified. Through the charity’s work in the central state of Chattisgarh, they have come across teachers unwilling to accept pupils with learning difficulties because they believe they are incapable. 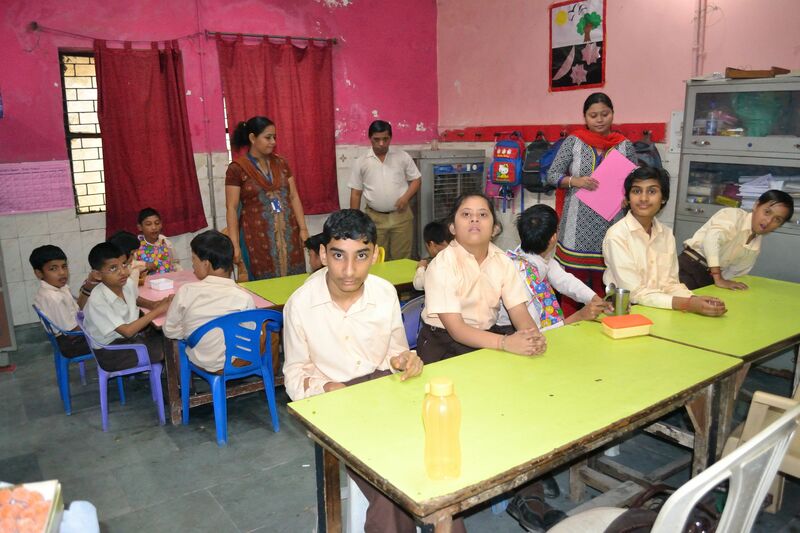 Awasthi says the government is developing a separate curriculum, special schools and trained teachers for the mentally impaired, which will also enable monitoring their progress. He hopes this will be in place by March 2014. However, the factor that hinders the acceptance of disabled people in Indian society is attitude, says Catherine Novi, regional coordinator for the rehabilitation projects of Handicap International. In her work with various communities, she has found many believe disability is caused by black magic or bad karma, as a result of wrongdoing in the disabled person’s former or current life. When asked whether the disability may purely be the result of a physical disorder, she holds steadfast to her belief that karma is the cause. However, evidence shows that proper counseling can transform these attitudes. The trust recruits community volunteers from the slum, including parents of disabled children, who are given training in areas such as rehabilitation or therapy. 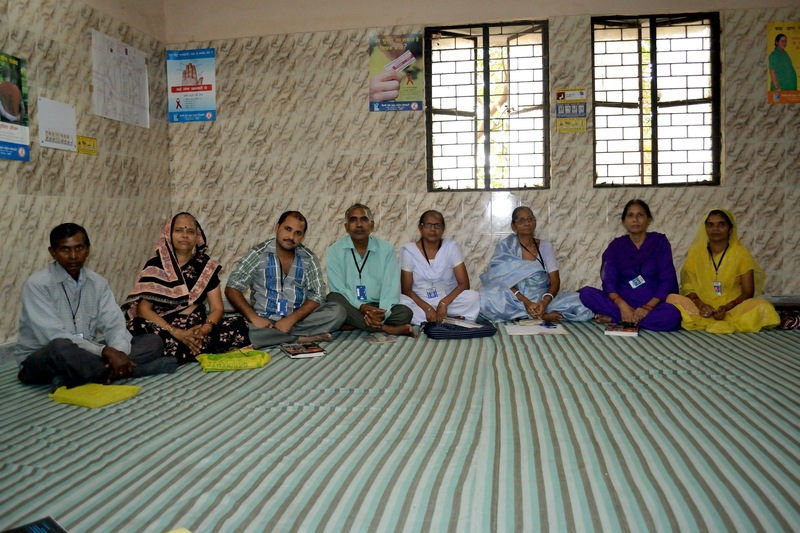 Community volunteers at the Anchal Charitable Trust. Radesham is one such volunteer who is trained to inform the community of their rights. Before joining Anchal, he says he had strong beliefs about karma being the root of disability. “After receiving training, I now believe in the practical causes of disability, such as injury and infection,” he says. Ironically, Singh says he believes in karma: “But it is not something just associated with your past life but also [what you do in] your present life. There is much to be said about disability in such a densely populated country. But Awasthi assures that the situation is improving: “The definition of disability itself has seen a lot of change,” he says. He adds that a new Persons with Disability bill, which is at the final stages of being enacted, accounts for 18 disability types, up from just six in the current 1995 act. These include autism and haemophilia. India has also adopted the United Nation’s development agenda for disabled people. And in September, the Supreme Court ruled that central and state governments must enforce an 18-year-old law to reserve 3% of government jobs for the disabled within three months. 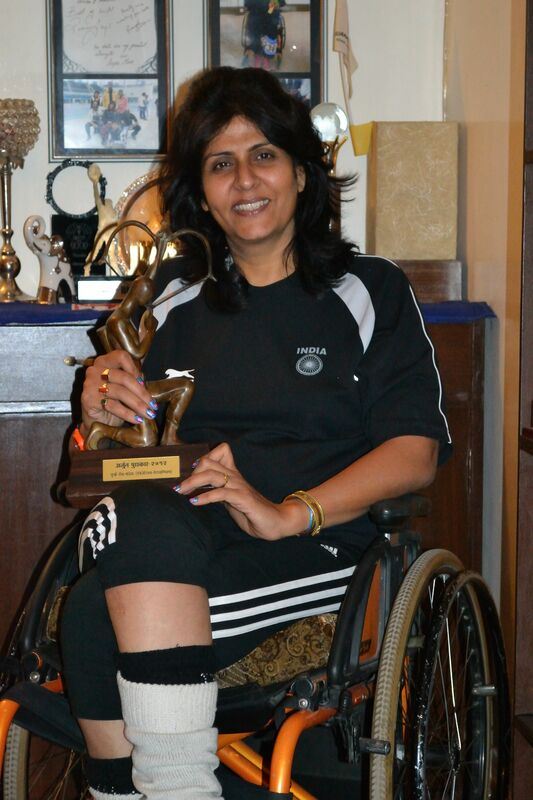 Paraplegic Deepa Malik, 43, from Delhi is a successful athlete and motorcyclist. But do the handicapped have to be extraordinary, like Singh and other respected disabled athletes such as paraplegic Deepa Malik, in order to be noticed and accepted by wider society? “They are role models that inspire others,” says Novi.